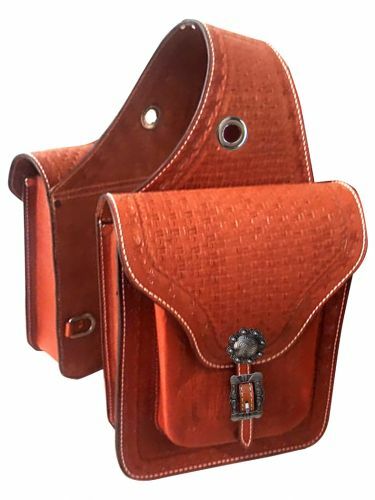 Showman ® Basketweave tooled leather saddle bag. This saddle bag features basketweave tooling with a barbwire tooled trim. Accented with engraved brushed nickle concho and buckle. Equipped with front D rings with easy buckle closures. Bag measures 10" x 11" x 3" with a 3.5" gusset.